This Citrus Juicer CG-CJE1-I	40W,Bi Directonal Motor with Smooth and Steady while Bending. It has Pulp Collector, Double cones and Cord Storage. 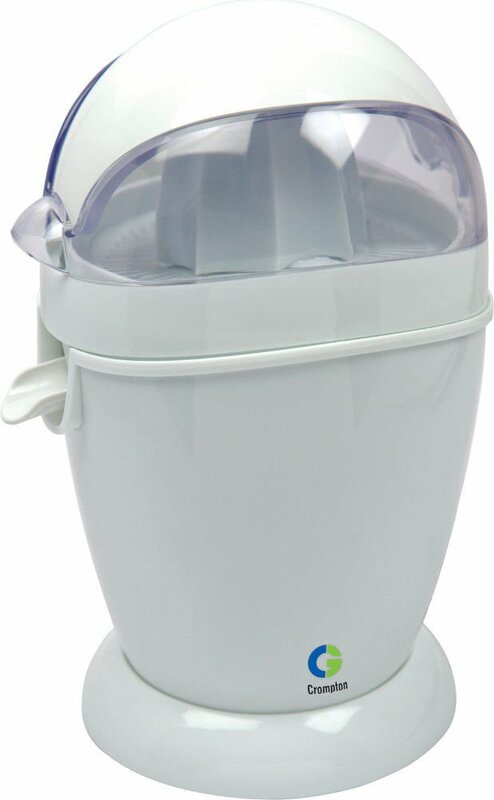 To Recieve updates and possible rewards for Crompton Greaves Citrus Juicer CG-CJE1-I please sign in. To Recieve updates and possible rewards for Juicer Mixer Grinder (JMG) please sign in.